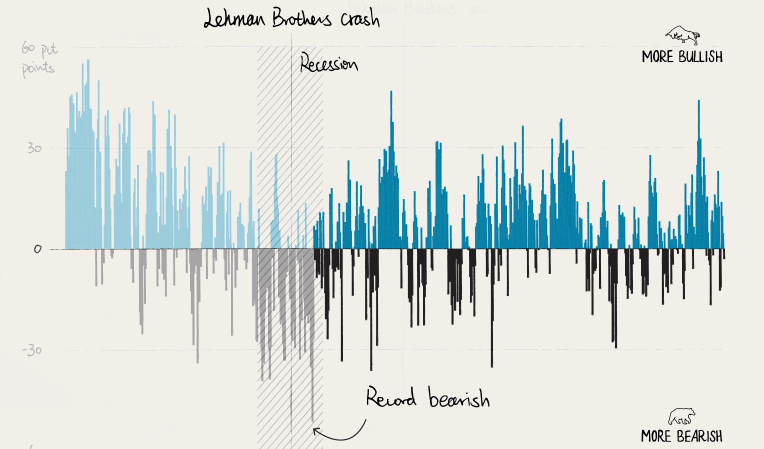 On September 15, 2008, the then fourth largest investment bank, Lehman Brothers, filed for bankruptcy. Although the crisis had long roots, this day is considered as the beginning of the financial crisis because the effects became apparent to the world after this day. Beginning from the 90s, housing market in the U.S started gaining popularity in terms of investment. It led to more Americans wanting more homes. As a result, banks started to offer low risk subprime mortgages to the borrower. A subprime mortgage is a type of mortgage that is normally issued by a lending institution to borrowers with low credit ratings. As a result of the borrower’s lower credit rating, a traditional mortgage is not offered because the lender views the borrower as having a larger-than-average risk of defaulting on the loan. Interest rates are higher and variable. Lenders had little to no reason to worry about the repayment. Loans were sold to investment bankers in the form of Mortgage Backed Securities (MBS) (A mortgage-backed security is a type of asset-backed security which is secured by a mortgage or collection of mortgages) and in return banks demanded commission. The lenders made a profit on these sales and had no ongoing risk of repayment. Then the lender went back to making more ridiculous loans. It was a win-win scenario for banks offering the subprimes and investment bankers. Banks were transferring the risk and investment bankers went on to receive high returns in those mortgages in the form of interest. The investment bankers bundled these loans into mortgage securities (a financial instrument divided into risk levels) and sold them off into the investment community, making money in the process of course. In case this makes you feel bored already, here’s Margot Robbie explaining subprime in a bubble bath. When banks started to notice they earn more from subprimes than the conventional mortgages they started to sell the MBS in CDOs which initially offered better returns than government securities. A collateralized debt obligation (CDO) is a structured financial product that pools assets like mortgages, bonds, loans and repackages this asset pool into discrete tranches that can be sold to investors. Tranches are pieces of debt or securities designed to divide risk or group characteristics in order to be marketable to different investors. However, these sales would not have been possible without the compliance of the rating agencies. The agencies assigned the CDOs AAA credit ratings which might actually have been BBB or BB. Bonds that have the highest credit quality and can easily fulfil their financial commitments are rated AAA. BBB ratings fall in the bottom tier of the investment grading indicating very risky bonds and BB ratings translate to absolute junk. These rating agencies collected their share of fees from the investment banks selling the mortgage securities. 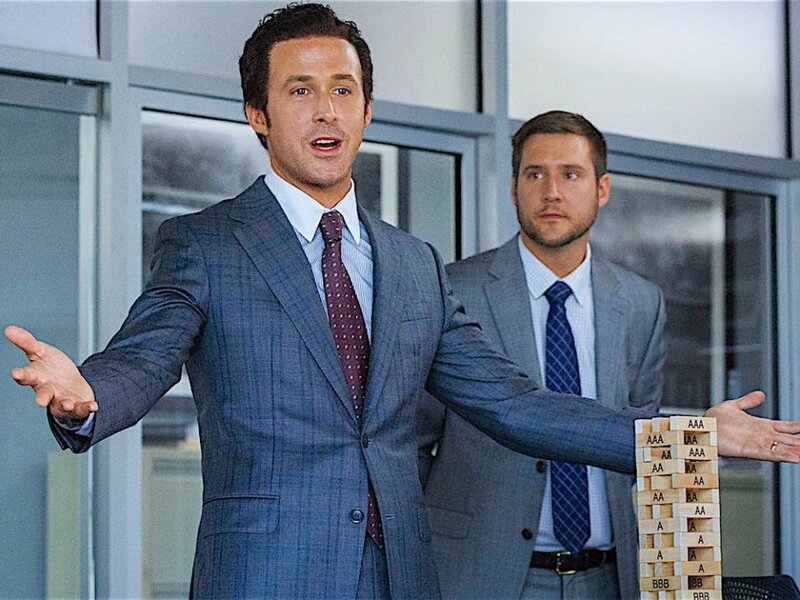 In the movie The Big Short (2015), Ryan Gosling explains the structure of the modern mortgage bond using Jenga blocks. You can catch it here. No one bothered to investigate the kind of loans people were receiving or, the awful processes by which these loans were being underwritten and marketed. Some people had anticipated that the whole housing market is a bubble based on very risky loans by recognizing the poorly structured loan packages and created credit default swaps (an insurance against the defaults) which would allow them to short (in a sense, bet against) the housing market. However, once interest rates began to rise and housing prices started to slacken in 2006–2007 in many parts of the U.S, borrowers were unable to refinance. As a result, people actually had to pay their mortgages. As people started to default on their mortgages by the third quarter of 2006, mortgage securities dropped in value. By 2007-2008, the whole system started to fail. Banks realise they had too much of worthless debt instruments and “toxic” assets. This is when the people who had bet against the housing market started to gain. Michael Burry, an investor, ended up producing nearly 500% returns for his investors. Lehman Brothers, which had reported record profits in the year leading up to the crisis, announced a quarterly loss of $2.8 billion in the second quarter of 2008, its first quarterly loss since the company went public in 1994. 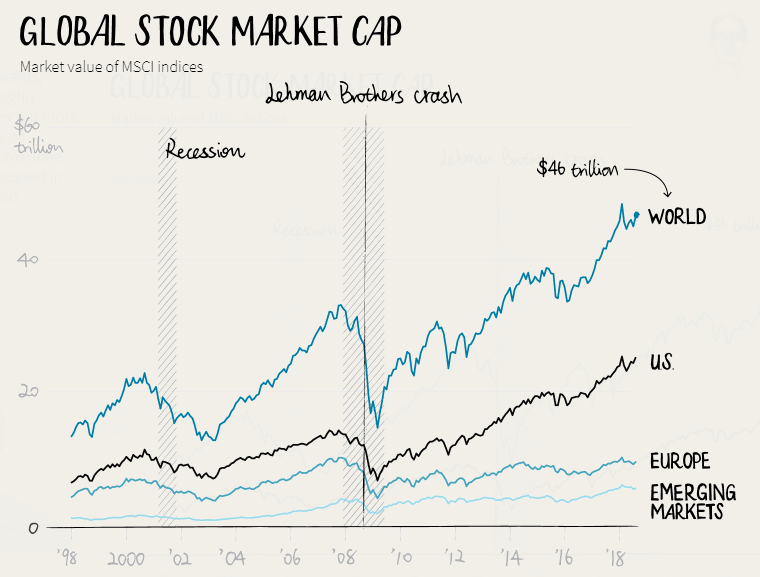 By September 2008, the stocks of Lehman Brothers had took a plunge and its debt had piled up to $619 billion as compared to its assets worth $639 billion. Banks were at ground zero and had to be bailed out. According to Thomson Reuters, by early 2009, markets were so gloomy that 7 in 10 individual investors counted themselves as bearish (i.e they believe the stock prices would decline) – a record high percentage. While stocks got crushed in the 2008 financial crisis, they’ve been the hands-down winner of the post apocalypse period. Banks were on top of the world in the mid 2000s. Property prices were booming and banks held the keys to dominate thoroughly. As seen above, they offered mortgages to anyone with a pulse, bundled them into a system of complex securities and sold it to investors. Profits soared and so did the stock prices. Thomson Reuters Datastream reported global bank market caps doubled to $3 trillion between 2002 and 2007. When the recession hit, the banks were at ground zero and had to be bailed out. What rose in its place? Tech. 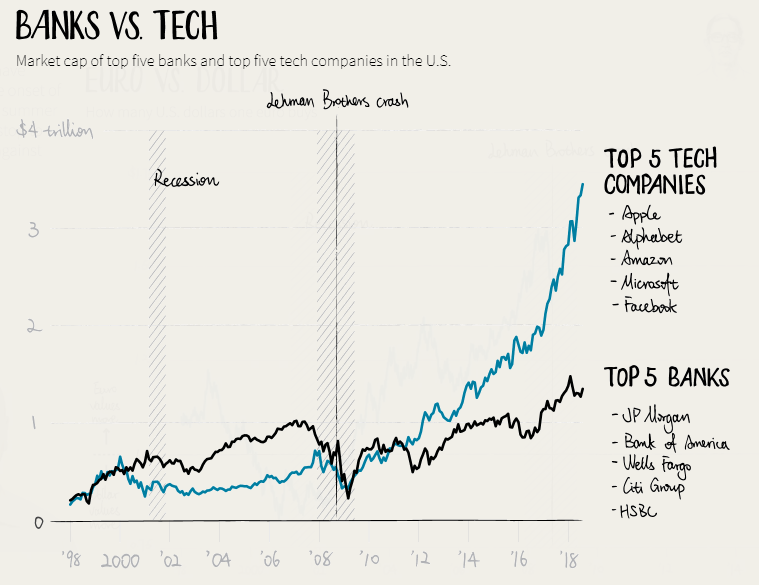 Apple with its groundbreaking iPhone, Amazon with its relentless expansion beyond online retailing, Google’s dominance of internet search, Facebook’s sway over social media, Microsoft’s re-birth as a cloud computing power. Today, those five companies alone are worth nearly $4 trillion whereas the big 18 banks in the S&P 500 punch in at just $1.5 trillion. The market has largely recovered, with property prices rising and considerably fewer people behind on their mortgages. Regulators have also established new restrictions on the types of loans banks could offer. Economists say the housing recovery has left behind low income, low credit score borrowers. Rather than risk making loans to those buyers, banks have focused more intensely on those with pristine credit and buying more-expensive homes.